Peter specializes in private-client practice, working with the private banking and fiduciary industry and the clients they serve. Peter has a special emphasis on FATCA and CRS compliance for the trust industry, having implemented FATCA for the offshore trust companies of his previous employer, UBS. Peter also focuses on cross-border tax and structuring, asset protection, and multi-jurisdictional succession planning involving the use of trusts, foundations and other fiduciary arrangements, and international tax controversy work for private clients. 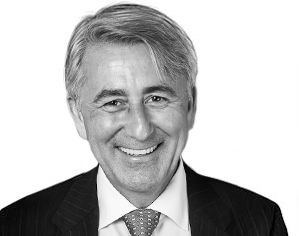 Before joining Anaford, Peter was the Head of Wealth Structuring for Ultra-High Net Worth Clients, and subsequently Global Head of the Trusts and Foundations Product Offering, for UBS. Peter has practiced law for over 20 years and was previously a law professor in the U.S., both full time and part time, teaching in the trusts and estates areas. Peter has published numerous articles and is a frequent speaker at international conferences on CRS, FATCA, and private-client topics.